Maryville is a very small suburb located on a peninsular along the banks of Throsby Creek. 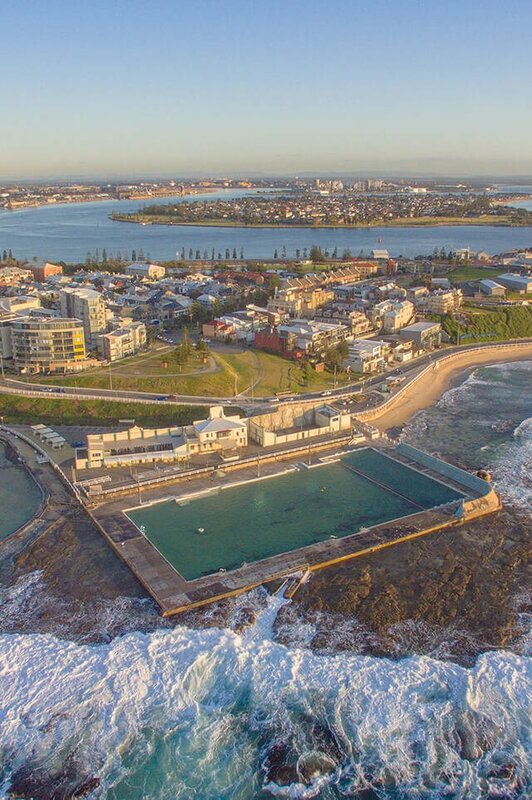 One of the city’s first suburbs, Maryville has undergone significant gentrification since the closure of heavy industry in the 1990s and the development around the Harbour and Foreshore over recent years. Proximity to the CBD and leisure lifestyle has seen Maryville become one of the most popular locations for city dwellers looking for the quiet suburban lifestyle. Dwellings now make up an eclectic mix of old miners’ cottages, renovated homes, some modern townhouses and warehouse conversions. Around 90% of the dwellings in Maryville are free standing houses or terraces/semis. Islington Park is located on the western edge of Maryville, and a cycle and walking track combines leisure with a convenient way to access the harbour and city. The population of Maryville is predominantly in the 20-40 age group, reflecting the attraction of the area for singles and young families. Average weekly income is high and rent payments are slightly above average, with around a third of dwellings being tenanted. Professionals and clerical workers make up the majority of the employment categories. Maryville is in the catchment for one of the inner city public schools. It is also very close to the city campus of TAFE NSW, and the NewSpace Campus of the University of Newcastle. There are a variety of medical centres in the surrounding suburbs, and the Calvary Mater is a few minutes drive to the west. Do you need a Buyer’s Agent who can assist you to purchase a property in Maryville?